Quickly view the latest resources on Microsoft Download Center. 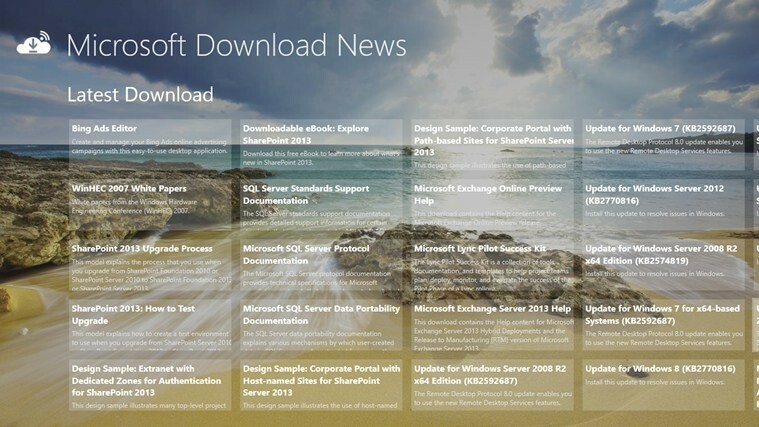 MS Download News - In which you can find the latest and popular download resources on Microsoft Download Center, such as products help, evaluation edition, service packs and security updates, resources for IT pro and developer and other tools and documentation. This application requires Internet connection in order to get the download news from Microsoft website (www.microsoft.com). We guarantees that none of your data will be collected or used nor any extraordinary information will be saved for private purposes.